All week long, we’ve been showing off our new photography sessions, the NEVER NEVER collection. I am so in love with these types of sessions and am really excited to photograph more kids and really capture their individual personalities. Tomorrow we are going to run a contest on Instagram and Facebook and give away 1 $400 gift certificate and 2 $100 gift certificates that can be used towards a NEVER NEVER Collection photography session. What do you need to do to win? Simple… just follow these rules and starting tomorrow, Friday, May 20th, you can enter the contest. The contest will be open until Tuesday morning, May 24th, and we will announce the winners Tuesday Evening. INSTAGRAM and FACEBOOK contest rules. **This promotion is in no way sponsored, endorsed or administered by, or associated with, Facebook or Instagram. 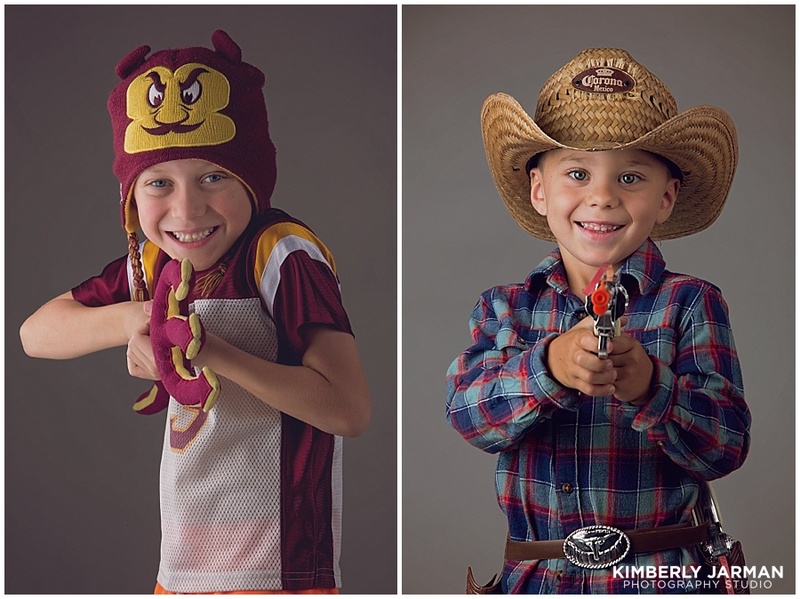 Kimberly Jarman is a Phoenix Wedding Photographer & Arizona Portrait Photographer, located in Mesa, Arizona. We would love to work with you! Please contact us for more information about how to have us photograph your wedding or portrait. If you didn’t see our blog post on Friday about our NEVER NEVER Collection, you have to check it out here. These are fun sessions geared towards your kids and their unique personalities. These sessions are ALL about each individual kid and what they like to do. This week we are going to celebrate this exciting new project and share some of our favorite photographs from these types of sessions. At the end of this week, via social media – Instagram and Facebook, we are going to celebrate BIG with a couple great giveaways, so stay tuned all week so you don’t miss the contest info. Mary Beth and Tim’s wedding was so absolutely gorgeous. It was held at their private residence, and Tim even constructed an aisle for the ceremony above the pool. It was a party through and through and there was dancing, laughs, tears, and lots of kids having a phenomenal time. I loved being a part of this day! We can’t forget to thank the vendors! I have a picture of my daughter that I cherish; she’s about 6 years old and wearing her triathlon uniform. She was on a triathlon team and loved it with every part of her being. She biked, swam, ran, and enjoyed her team and her coaches. She wore the full gear… the uniform, the goggles, the swim cap. This picture, that I had taken, fully represented who she was at that point in her life… and I love it. She is now 8 and isn’t doing triathlons anymore… she needed a break and wanted to do some other things; she’s now tried soccer, basketball, and has been gaining more interests. She loves to read and Harry Potter is her new obsession. She loves her music, she loves minecraft, her ipad, and wears color hairbands on her wrists. These are all things I don’t want to forget about her.. Things that make her unique and make me happy. Our children change and grow, and it happens right before our eyes. They are brand new babies who need us to care for every need, and then we blink and, way too soon, they are graduating from college (I don’t want to even think about that yet). Life goes by too fast, and we need to slow down, we don’t – CAN NOT – afford to forget the small, but important, moments in between. My passion and job as a photographer has always been to document lives and capture people’s personalities in a REAL way. It’s why I do what I do. Over the last few years I’ve been able to photograph some amazing people and lately some pretty amazing kids. I’ve noticed though, that so many times sessions are all about the family as a whole, so much that, the personality of each kid isn’t able to fully come through. Family sessions tend to be about the location, what to wear, making sure everyone is smiling at the camera – and, while I love that and think it’s so important to capture that perfect smiling family portrait (I want one too – trust me), I truly believe that we need to find a way and time to allow our kids to just be who they are, so that we can capture the REAL them. So, with all that being said, I am so very excited to announce a new type of photography session… one that isn’t ALL about the family and looking perfectly put together. It’s not about making sure everyone coordinates and smiles. These sessions aren’t about the background or getting the perfect christmas card… these sessions are fully, 100% about our KIDS and who they are individually. 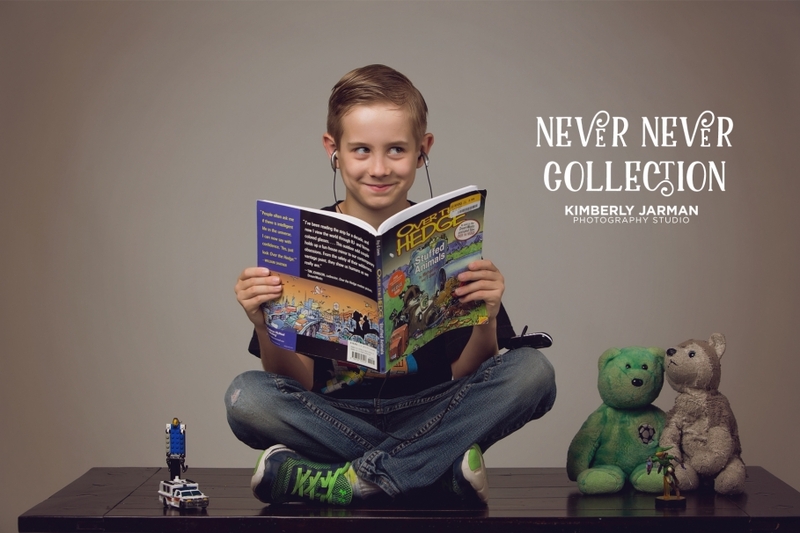 Welcome to the NEVER NEVER Collection by the Kimberly Jarman Photography Studio. A collection of images documenting our children’s lives and what matters to them NOW. It’s capturing the little things… the silly grin they always give, the tongue that sticks out when they color, how they love their blankie or their stuffies and don’t want to let them go. It’s capturing WHO they are as individuals and allowing them to express themselves individually. These sessions are quick, short, and geared toward one child at a time. They are so much fun, and children relax because they get to dress up, be goofy, have fun, and show off what is important to them. Children are magical; They are full of life. They love hard, they have wild imaginations, they love to dress up, run around, and show everyone their favorite toys. They like to know that they matter, are appreciated and they love to be praised. This session is about them…. not us… it’s about what they like, their personality. It’s about what makes them happy. When we make the session individually about them, they will relax, and we will get pictures that make us, as parents, smile. The kind of picture that you can’t get enough of because it completely documents who your child is at that time in life. It’s the mindset of not forgetting who they are and not wanting them to grow up… kind of like Peter Pan… Never Never. Don’t forget… don’t grow up… don’t grow out of your creativity… hold onto what makes you you. Let’s capture who and what they like right now…Cars. Super Hero’s. Stuffies. Blankies. Mismatched socks. Hair styles. Video games. Bikes. Let’s make artwork that reminds you of this moment in your kid’s life, and shows your child how much you appreciate them individually. Welcome to the NEVER NEVER Collection. This day was another day of perfection. Nafeesa, won Miss Arizona USA in 2003 and is such a wonderful person inside and out; there was so much pageant joking and laughs during the getting ready, that we even had to “crown” her and make sure we captured a picture. As you can see from the pictures, the day was filled with fun and emotion. I have loved getting to know Nafeesa, Michael and their amazing families. We felt so welcome and enjoyed every minute of the day. Cecelia Krajcar - Beautiful, just simply beautiful….